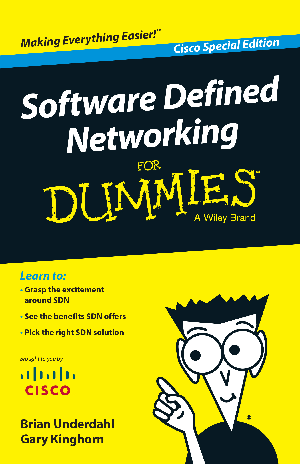 Software Defined Networking For Dummies, Cisco Special Edition, shows you what SDN is, how it works, and how you can choose the right SDN solution. This book also helps you understand the terminology, jargon, and acronyms that are such a part of defining SDN. Along the way, you’ll see some examples of the current state of the art in SDN technology and see how SDN can help your organization.